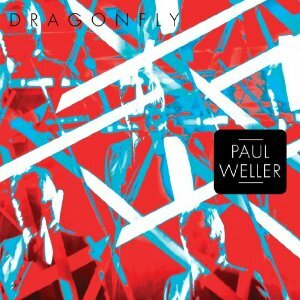 YepRoc To Release Paul Weller’s 4th US Single, ‘Dragonfly’ On February 19th! – Paul Weller News! YepRoc To Release Paul Weller’s 4th US Single, ‘Dragonfly’ On February 19th! Paul Weller Official released the following news bulletin promoting Paul’s USA Record Store Day release. US fans, Weller is readying a very special release for this year’s Record Store Day on April 20, 2013. To commemorate the event – which is held annually to support the humble local record emporium – Weller will release ‘Sonik Kicks: The Singles Collection Box Set’. Featuring all four of the previously released 7” singles from ‘Sonik Kicks’ on colored vinyl and in their original sleeves, this box set also contains a fifth 7″ on orange vinyl with two songs previously unreleased anywhere in the world: “That Dangerous Age (Live Acoustic)” and “Be Happy Children (Live Acoustic)”. These two tracks were recorded live in Weller’s Black Barn Studio. The box set will also contain a poster autographed by Paul Weller and comes in a limited edition run of just 600 copies. There have been on three US singles released so far, That Dangerous Age, When Your Garden’s Overgrown, and The Attic. We were curious as to what the 4th single was, as there have been no announcements that we could find, so a little digging at Amazon revealed that Dragonfly is the likely selection as it’s available for pre-order with a release date of February 19th. Previous Entry Paul Weller’s US Label YepRoc Announces ‘Sonik Kicks’ Vinyl Box Set For Record Store Day! Next Entry Paul Weller Performs With Emeli Sandé For Crisis Charity!